J.Brand is endlessly inspired by how women dress in LA, which is why its denim is so pared-back. 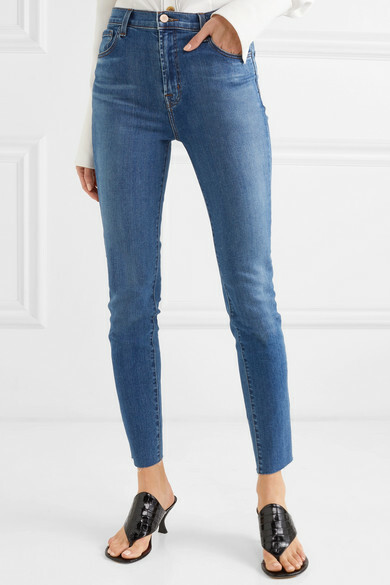 These 'Leenah' jeans are cut in a skinny, high-rise silhouette but woven with plenty of stretch to ensure you can move around in them comfortably. The lightly distressed hems will fray a little more every time you wear them for a lived-in feel. 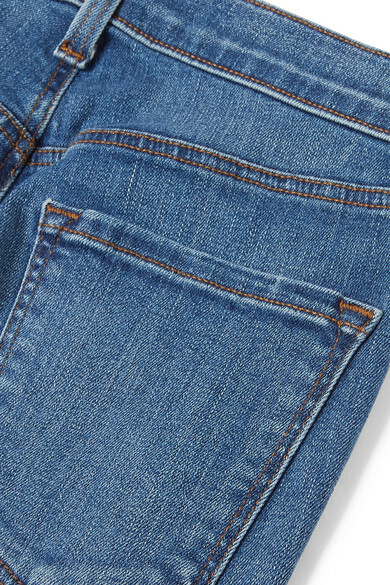 To minimize creases when you aren't wearing yours, fold them in half lengthwise. 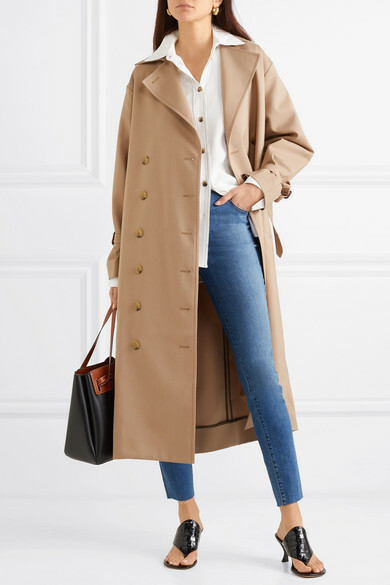 Shown here with: Khaite Shirt, Totême Trench coat, Loewe Tote, STAUD Mules, Ellery Earrings.